- Bury St Edmunds Driving School : Driving lessons, Pass Plus, intensive courses & refresher lessons provided by qualified male & female driving instructors in Suffolk. 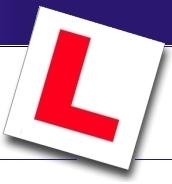 Website provides theory test and driving test help & advice. - Cambridge Driving School : Fully qualified male and female driving instructors provide driving lessons, intensive courses, Pass Plus and refresher lessons in Cambridgeshire. Visit our Helpful information section for theory test and driving test tips and advice. - Drive2Freedom : Driving School offering Weekly & Intensive Lessons in Cheshunt, Enfield and surrounding areas. - Driving lessons and instructor training Lincoln, UK : We offer driving lessons, intensive courses, hourly tuition, Pass Plus and discounts. For instructors we offer driving instructor training, part 2 and part 3, fleet training, Cardington A Test (prep), and Check Test (prep). - Driving Lessons in North London : If you are after professional driving lessons at affordable prices then look no further. At Xpress Driving School, we provide professional, patient and experience tuition. - Driving School Melbourne Driving Course Driving Lessons : Reliable family run driving school in Melbourne Australia: Eastern Suburbs Driving School has been operating in the eastern and outer eastern suburbs of Melbourne for over 25 years. - Driving theory test free download : Pass driving theory test: pass-test.co.uk provides you the driving test cd rom, driving test dvd, theory driving test cd, driving test software FREE download. - Findley's Driving School of Nuneaton and Bedworth : Findley's Driving School based in Nuneaton and Bedworth, Warwickshire. Let our professionalism be your guide. - FREE Driving Theory Test Online : Theory Test, Hazard Perception, Book CD, Practical Driving Test, Mock Theory Test Practice, Free Hazard Perception, Car Motorbike Driving Test. - Free Theory Test - Learn - practice car Mock driving Theory Test : FREE online DSA theory test car & bike questions with hazard perception clips. Access most recent DSA driving theory test questions online and free practice mock tests. - Smart Drive UK : Smart Drive UK is a friendly driving school that has been created to deliver First Class Driver Tuition that differentiates itself from other schools.All areas covered in and around Sussex, U.K.
- Tony Webb ADI Driving School Ashford : Driving Lessons in Ashford Kent, Folkestone and Tenterden area from a fully qualified driving instructor. pass plus available. - Urban Driving School : The ultimate in driver training, one of the fastest growing driving schools in London offering Theory and Hazard Perception Tests. - Yellow School of Motoring : Yellow School of Motoring is the UKs leading Driving School. Yellow School provide training for people who wish to become a driving instructor. If you want to swap links with us, please ensure you place our link on your website first. Once you have done that, please let us know and we will reciprocate. Note: Your website must be of a theme similar or related to ours.